Event Format: 6-game guarantee. Event open to 14U, 16U, 18U teams. Game time will be 1 hour and 30 minutes (drop dead) or complete 7 innings (which ever comes first). Official play will start on Wednesday Evening (after the camp), Teams need to be prepared to play their first game Wednesday Evening and play through Saturday June 22nd. Pricing Information: Entry fee should be submitted by May 20, 2019. 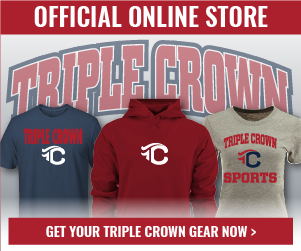 Make all checks payable to Triple Crown Sports. Refunds: All refunds requested prior to May 20, 2019 will be granted a full refund minus the administrative fee (20%). No refunds will be issued after May 20, 2018. Weather Cancellations: There is a chance this tournament could be rained out. No games = 20 percent Admin Fee, (Minimum) 1 game played = Half of Entry Fee, 2 or more games = No Refund. If cancelled, you can transfer the full amount to another Triple Crown event. (Also note: entry fee could also be moved to another tournament without the 20 percent transfer fee). Once registration is transferred to another event there will be no refund or transferred again. The Xtreme Summer Showcase started in 2005, historically an average of 140 teams register for this event, College Coaches attend over the four days. Practice Request Form Coming Soon!